After over 20 years of producing innovative and unique vehicles, Saturn stopped production in 2009. But many drivers still utilize them on the road on a daily basis, and that means they require service – and the pros at Jerry Lambert Automotive are here to help. 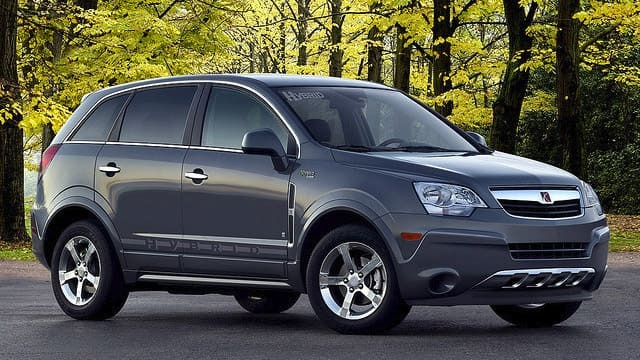 We find it unfortunate that Saturn discontinued their production, as these are excellent and dependable vehicles. The Aura won the 2007 North American Car of the Year, for instance, and most Saturn owners find they get great durability out of their sedans, crossovers, hatchbacks, minivans, and even their coupes and roadsters. Saturn even produced a few electric models even before this was a popular area in the auto world. At Jerry Lambert, we can handle all these models with ease. Our mechanics are all ASE-certified, and our entire shop is NAPA certified as well. We’ve spent nearly 60 years promoting a customer-first culture, since we opened as a full-service gas station in 1959, and we don’t plan to stop anytime soon – our mechanics are complemented by high-quality customer service professionals. These service staff members not only help keep you comfortable and at ease while waiting on repairs, they also promote our transparency in services by keeping you in constant communication with your technician so no work is done without your go-ahead. Those factors are a big part of why we maintain our A+ rating with the Better Business Bureau, and here’s another big one: Our central 3300 South location, which makes it simple and easy for residents of anywhere in Greater Salt Lake City to access our services. Whether you’re in Sandy, West Jordan, Draper or any similar area, you’re never too far from the best auto service in the valley. So if your Saturn is in need of careful and expert repair services or even just a simple tune-up, don’t hesitate. Call us at Jerry Lambert Automotive or visit our convenient location today.